Hey there friends. I wanted to share a little technique that I invented for myself to count stitches. 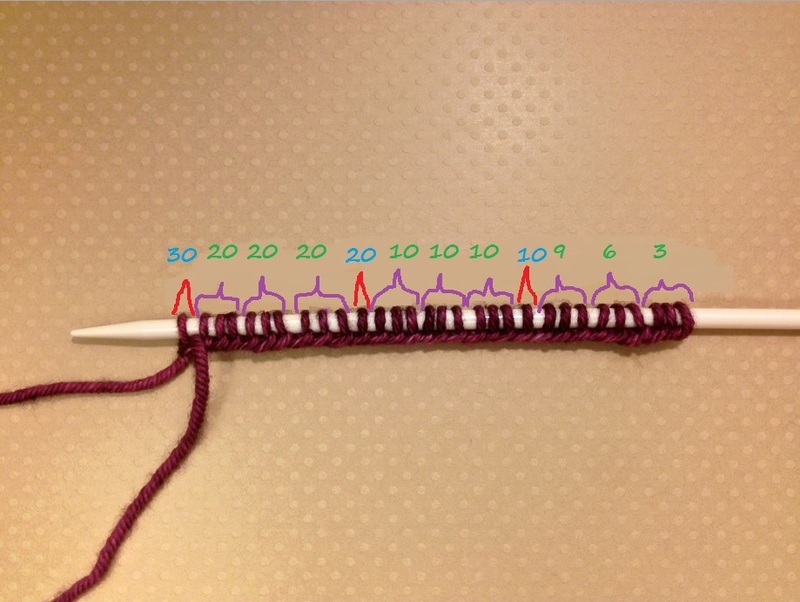 This technique works just as well if you are casting on stitches or if you need to make sure your stitch count is correct mid knit. I’ve always been much more of a word girl, than a numbers girl. Even the seemingly easy 2, 4, 6, 8, 10 by two’s method, is clumsy and slow for me, especially if you’re counting higher than 25 or 30. 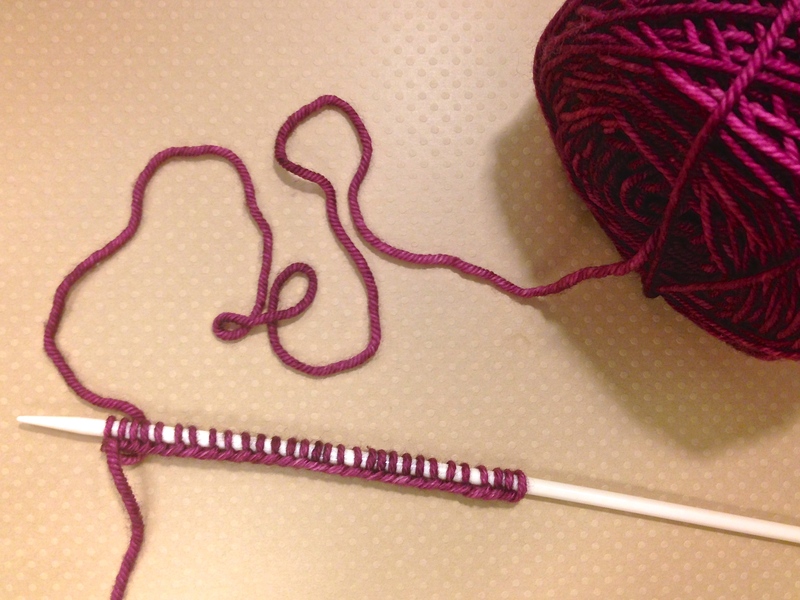 I was knitting my first bigger garment and I had 250 stitches to cast on, and I counted, and recounted, and miscounted and eventually got fed up. So I regrouped and thought, “There has to be an easier way.” Counting by tens was super quick and easy, but making sure you had exactly ten stitches at a time was tricky and time consuming. So I started counting by three’s. I counted, 3, 6, 9 and the tenth stitch was there by its self. So I continued- 3, 6, 9, 10– 3, 6, 9, 20-, 3, 6, 9, 30. My speed picked up, I switched from saying the threes to just repeating the last ten count as I scooted over those three stitches at a time. I’m LOLing because this morning i realized that I put the numbers on the bottom picture backwards! I normally count my stitches right to left, but my brain thought it correct to put them on left to right last night, like I read. so funny! I uploaded a corrected photo! I hope I remember this method the next time I load a ton of stitches on a needle. Sounds like a revelation to me! I love this, thanks for sharing! I must try this on my next project. Pinning now! I have sort of the same method but I count by fives, it’s indeed wonderfully fast!